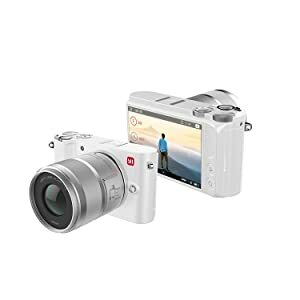 The YI M1 Mirrorless Digital Camera is a lightweight mirrorless, interchangeable lens camera that delivers spectacular image quality through 4K/30fps video and 20MP still images, using the Sony IMX269 Image Sensor. 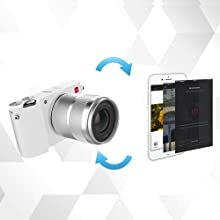 It features built-in Bluetooth + Wi-Fi that effortlessly connects to the accompanying YI Mirrorless App for you to download Master Guide templates, view, download, and share footage, and remotely shoot pictures. 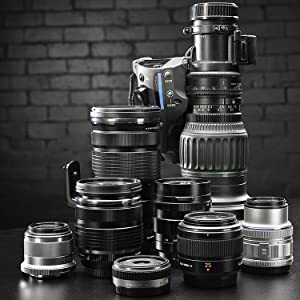 YI M1 offers two lens options - a 12-40mm F3.5-5.6 and 42.5mm F1.8 lens, but also includes an MFT mount system which is compatible with more than 50 interchangeable lenses. 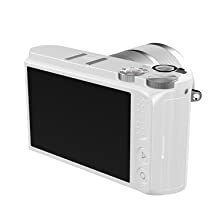 The 3-inch LCD touch screen, intuitive interface, lightweight design and comprehensive controls makes the YI M1 an incredibly easy-to-use camera that you can take anywhere. It doesn’t just deliver phenomenal 4K video but is capable of capturing incredibly clear, crisp 20MP still images. Get ready to capture perfect moments with superb image and video quality. 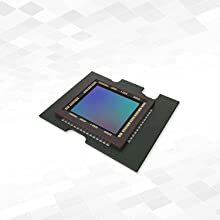 YI M1 uses a 20MP SONY IMX269 image sensor, the highest standard in MFT (Micro Four Thirds system), and supports ISO up to 25,600 to deliver accurate color and fine image detail in any environment. Shoot superb quality footage in 4K at 30fps, or take incredibly clear 20MP still images with exceptional detail. With the Micro Four Thirds (MFT) system you're given an all-around lighter and more portable camera, without sacrificing high-quality images. With an MFT lens mount you're open to a world of choice, being able to attach more than 50 different lenses, and the latest firmware update includes improved capabilities. M1's 42.5mm F1.8 portrait lens will make you feel like a master in portrait shooting. With a bright aperture of ƒ/1.8, you're able to shoot in more ways, even in low-light conditions. 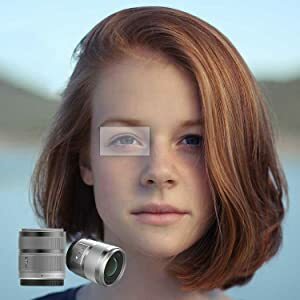 With six sets of six optical glasses, and the combination of two high precision aspheric lenses you will minimize distortion that's seen in some lenses. It's focus motor with screw mechanism means you can focus faster, and quieter. Winner of the 2017 Red Dot Design Awards the YI M1 has a beautifully simple but innovative design that uses thermoplastic elastomer skin-friendly materials, finished with a scratch resistant top coat. Instead of several overwhelming physical buttons it focuses on the concept of multi-screen touch operation, with the LCD screen's intuitive operation and optimized user-interface. The M1 uses one of the highest level image sensors in any Micro Four Thirds system, it delivers incredibly accurate, true-to-life color, and the finest image detail. The 3D noise reduction can keep your pictures looking crisp and clear, and use with an ISO value of up to 25,600 to achieve excellent image quality at night. Master Guide: Learn. Adapt. Improve. With YI M1 and its unique Master Guide Mode you can choose from simple settings, to advanced menu settings that lets you improve shot after shot. Access and download the Master Guide templates through the YI Mirrorless app and start shooting. 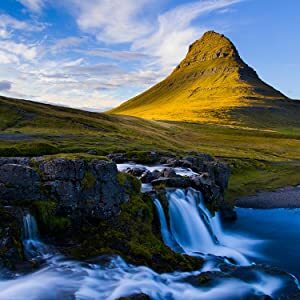 With Composition Templates, Auto Parameters and Auto Photo Editing you can learn fast and adapt to your shooting environment. With seamless BLE (Bluetooth Low Energy) and Wi-Fi connection to your smartphone, the YI M1 can easily share images and videos to your social network. With automatic Date/Time synchronizing it can quickly upgrade your firmware through the app so your camera is always up-to-date. Complete with 50M, 20M, 16M, 8M, and 3M megapixel resolutions, the M1 Mirrorless offers multiple resolutions, for every opportunity. Preview, playback, and review footage at your own leisure with the intuitive LCD touch screen. Choose from a range of scenery settings, and Masterguide templates. Compatible with over 50 attachable lenses; customize your camera with a wide variety of MFT lenses. Choose from renowned imaging brands that include, Sony, Panasonic, Lumix, and Canon. The latest in video technology, 4k video allows you to record in unprecedented quality any setting that you see fit. Utilize Auto-Focus and image stabilization to record superb footage. Download the accompanying app from Google Play Store or Apple App Store, and access a new universe of features. Download professional Masterguide templates to make composition easier than ever before, and stay connected by sharing footage through your smartphone via Wi-Fi.